which she achieved world champion titles. 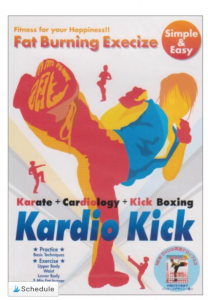 Based on her experience as a trainer in martial arts, Sachiko has designed the ultimate karate exercise, Kardiokick. 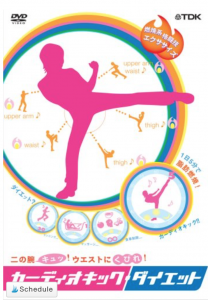 Owner of the Japanese health and fitness company Sachiway International, Sachiko has trained and licensed over 400 instructors in Kardiokick that is popular in many fitness clubs and gyms all over Japan. She has 3 DVDs on the market produced by TDK company and they are one of the best selling fitness DVDs by Amazon. Hello! I am Sachiko Kobata former karate champion and founder of the martial arts exercise Kardiokick. I own a health and fitness company called Sachiway International. With 15 years of experience in the health and fitness industry, I have seen many different exercise programs, supplements, and other dietary products come and go. However, I have come to see that information and products alone are not enough if you want to live a healthy and successful life. A complete physical, mental and spiritual approach is needed. 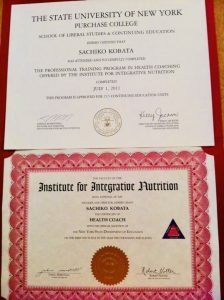 I received my training to practice Health Coaching at the Institute for Integrative Nutrition, which is the only nutrition school integrating all the different dietary theories — combining the knowledge of traditional philosophies with modern concepts like the USDA food pyramid, the glycemic index, the Zone and raw foods. 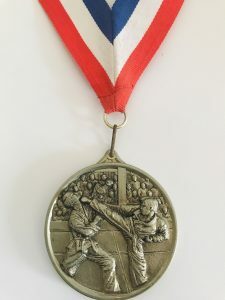 The physiological, psychological and holistic approach draws on my experience as a karate champion, my knowledge of health and fitness, nutrition and studies in self-development techniques. I am confident that with my help you will soon be enjoying a healthier, happier life. My mission is to make people healthier, to create a healthy earth. Are you ready to kick? 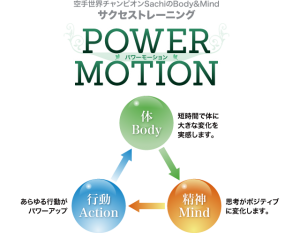 Powermotion is an exercise that teaches mind and body connection. Powermotion has a unique approach and an impact on the body mechanism. With the mind working with the spirit you will learn how to operate your body in a new way. Powermotion is a combination of karate movements done in a dance-like form of exercise. It is made simple, easy and fun so anyone can join in and get the full benefits of the program. With Powermotion flexibility, strength, endurance, and coordination increase and you can burn fat while having fun. It overall workout, beneficial to people who have hectic schedules that want to keep fit within a short period of time. As this program is based on Karate exercise, it not only helps to focus but also trains you to find your inner warrior spirit. By learning effective self-defense techniques of Powermotion you will gain confidence not only with your body but in everyday life.